A restaurant open 365 days a year just opened its storm center to track Hurricane Florence. The southern breakfast chain is well known for staying open during natural disasters. 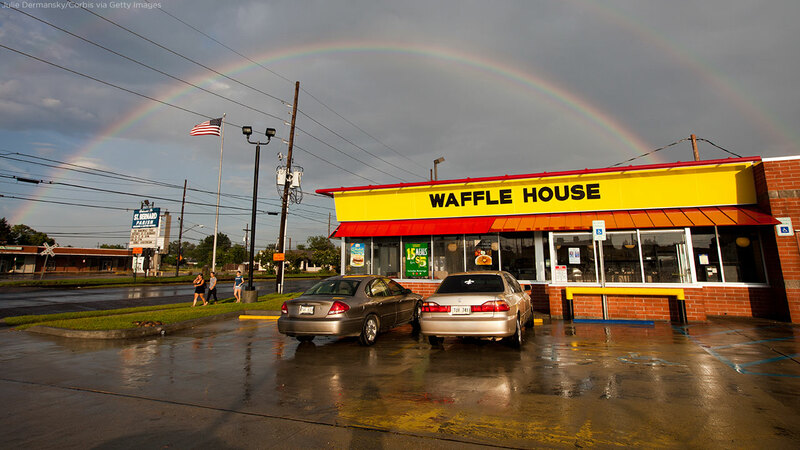 FEMA came up with an informal "Waffle House Index" to measure the damage during storms. If a Waffle House is closed, or has limited service, emergency crews know the area must be hit hard. Waffle House is headquartered in Georgia and has more than 2,000 locations, mostly in the South. Governor Jerry Brown just signed a property tax bill to make the process of receiving refunds easier. Under previous law, a claim form had to be mailed to the taxpayer. The form then had to be signed and returned before they could get a refund. The new law allows a county to simply pay the refund owed, without the extra paperwork. Refunds could come from overpayment of taxes, penalties, assessments, interest or other issues. Another big recall for General Motors. The automaker is recalling more than one million trucks and SUVs because of problems with the power steering. The National Highway Traffic Safety Administration says the power steering can stop working, then suddenly start working again. It all happens in about a second. Consumer Reports says there are reports of 30 crashes and two injuries related to the issue. Included in the recall: 2015 Chevrolet Silverado 1500 and GMC Sierra 1500 trucks, as well as Cadillac Escalade, Chevrolet Tahoe and Suburban, and GMC Yukon SUVs. Build-A-Bear is apologizing after its "Pay Your Age" promotion earlier this summer. The promo caused massive lines and chaos at stores around the country. Some stores even had to close early to deal with the crowds. CEO Sharon Price John says she was happy with the sales boost from the event, but wished the execution was better. Build-A-Bear gave out vouchers to some customers who were unable to get into the crowded stores.